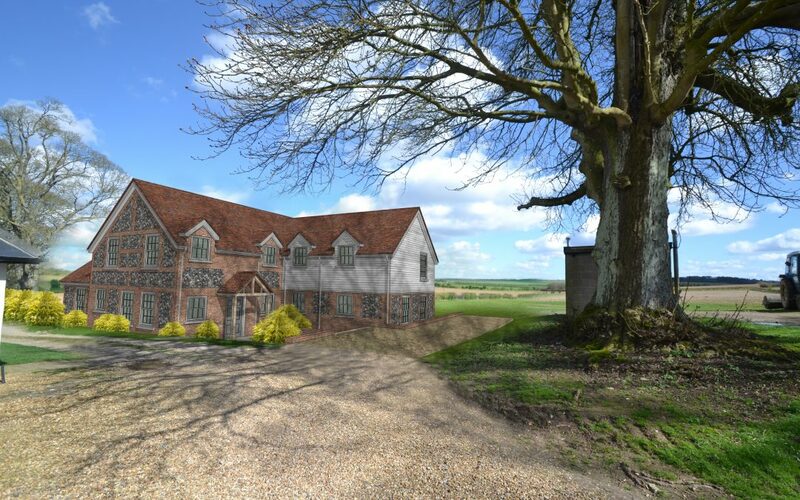 The client had already obtained permission for the conversion of an existing modern barn building on this site, however they had decided they wanted a new build classical house on the site. An application for this was submitted in early 2018, however this was refused for aesthetic reasons. 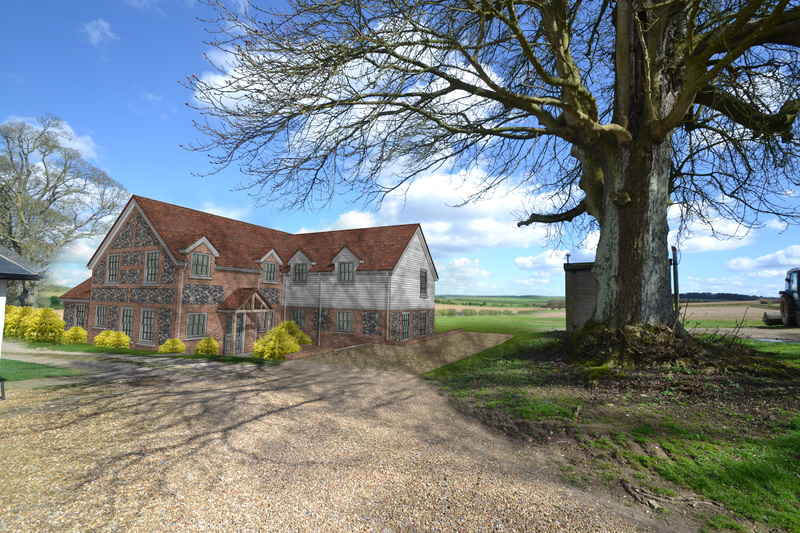 An application has now been submitted which addresses the concerns raised by the appeal inspector and we have proposed a more traditional dwelling that ties in material wise with its neighbouring buildings on the farm site. The house itself provides a large kitchen / dining space which overlooks the fields to the rear, as well as a downstairs study, family room and media room. Upstairs 5 large bedrooms are created with 3 en-suites and a family bathroom. Our Southampton office designed an award winning house inspired by Frank Lloyd Wright and finished with hand make brick and oak panelling.